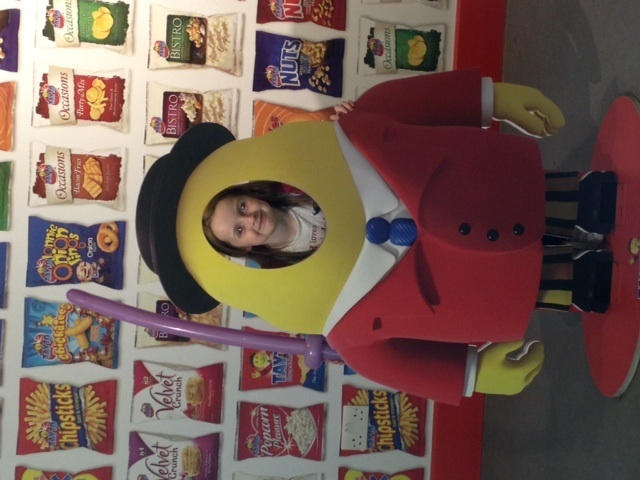 Tayto Park is a family theme park based in Ashbourne Co. Meath in Ireland and, yes it is based around the famous brand of Crisps – Tayto! It has been open a number of years but I never had the time or inclination to go. However now that my kids are getting older they are more into this type of thing and we are into finding nice family days out for them. We have done the Zoo a number of times so wanted to try something new. On 16th June we set off on our adventure. We paid a family ticket – €40. It’s not cheap but also not extortionate. Under three’s are free. 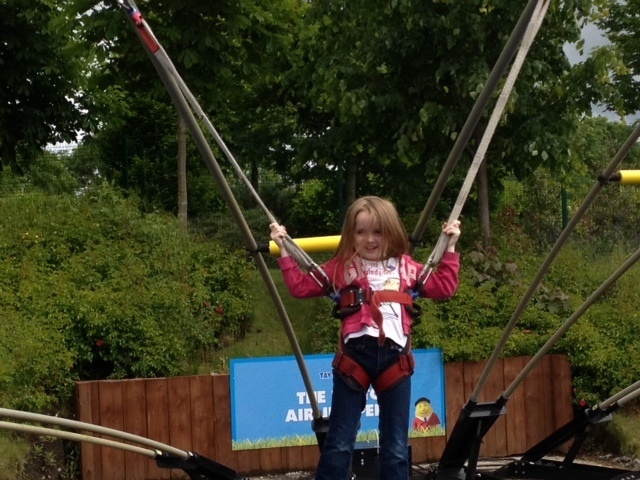 Outside of family tickets it is effectively €12 a head aged 3+. 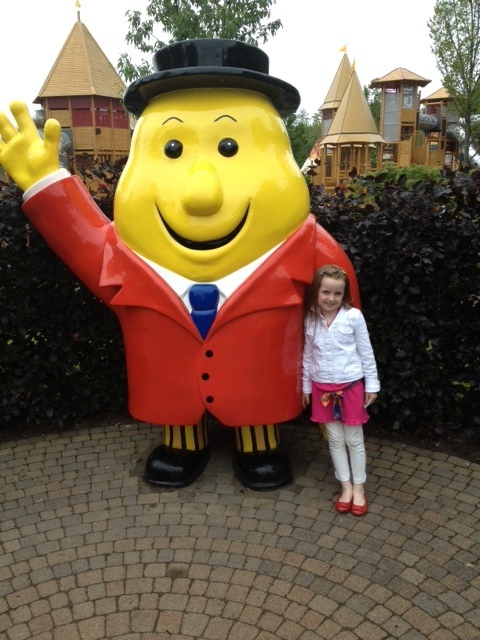 After meeting Mr Tayto (and my daughter posing for a photo) we first hit a massive playground – the Pow Wow playground. I thought we wouldn’t get any further – the kids loved it. There is even a toddler section which suited our 21 month old perfectly. 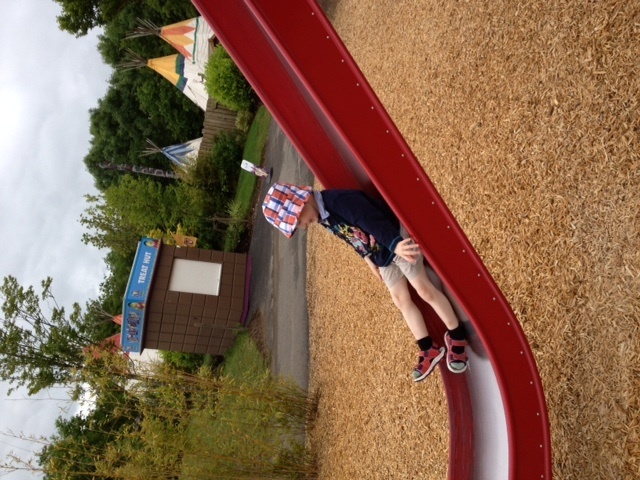 Eventually having moved on from the playground we visited the animals. Loads of different types including one of my favourites of the Park, the Meerkats! There is an opportunity to visit the crisp factory but unfortunately production is only Monday to Friday so we were left looking into an empty factory. However, there is good history and details on the walls of the factory tour route to make up for not seeing the machines in action. There is also a chance “to be” Mr Tayto which my kids did not let the opportunity pass them by! Outside the factory there is what’s called the Vortex Tunnel. A tunnel you walk through and due to circular movements around you makes you feel like you are falling over. Hard to explain but it totally messes with your brain. There are even hand rails installed. You feel a bit silly when you come out and realise that you were actually just walking on solid grounds! Also felt a little motion sick! Time for lunch and we stopped off in the main restaurant. Good selection – hot and cold food. We went the old reliable nuggets, sausages and pizza with chips!! After lunch we headed to the Geronimo Zone. There are climbing walls, air jumpers and a sand pit for the under 5’s. My oldest wanted to do the air jumpers. This is one of a couple of items you need to pay extra for. You buy tokens at the ticket desk just beside the area. My other two happily played in the sandpit. 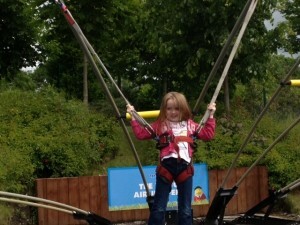 At the other end of the park there are zip lines, walking ropes, a smaller playground and a huge bridge slide. Again some of these you need tokens. There are plenty of picnic areas and toilets dotted around the park. All in all we had a great day and decided to upgrade our family ticket to an annual family membership. The family membership is €130 however they allow the €40 entry fee off this which is great. It allows you try it out without committing for a year but also not have you frustrated from paying €40 and then deciding actually a years membership would be a good idea! With my career break and our impending lack of funds we thought it a good idea to get a membership while we could afford to and at least have somewhere exciting to bring the kids at no cost – you can bring a packed lunch and you don’t need to go on the extra pay attractions. We have been back three times since! So I think we are getting value for money! Winter opening hours are more reduced but with school and homework we hope it will be a nice weekend treat from time to time. I have also heard the man in the red coat pays a visit near Christmas! I would recommend at least one exploratory visit if you get a chance. Maybe even one for the family Christmas gift list as they do vouchers! Maybe a renewal of our annual pass might be on ours! Note: this was just our personal experience! I take no responsibility if you hate the place! I was not in any way asked to write this review and certainly not paid to do so.